JazzHR (formerly The Resumator) is simply the easiest, most efficient way for growing businesses to hire. It instantly replaces any cluttered HR email inbox with powerful, yet simple online tools for promoting jobs and reviewing resumes. Interview scheduling is made fast and simple with automatic syncing to your Google or Outlook Calendar. Now you can view your entire hiring team's availability at a glance and seamlessly schedule interviews to keep your hiring process on pace. As candidates move through interview stages, your hiring team can utilize digital interview guides and scorecards to organize, rate, and influence the interview and decision making process. 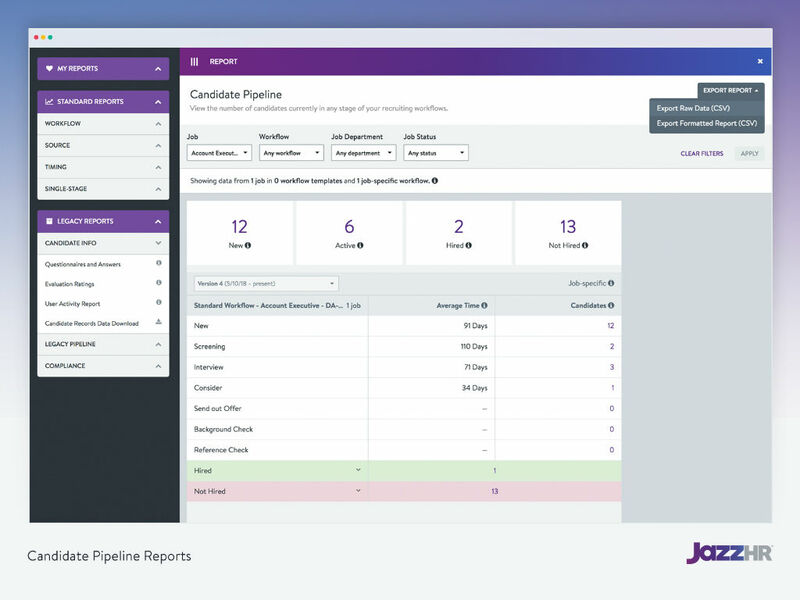 Managing candidates through recruitment stages is simple with JazzHR's powerful applicant tracking system. A profile is created for each candidate that applies and is updated every time there is activity, such as a phone screen, interview, or reference check. Your hiring team can instantly see all tasks that have been performed in relation to each candidate and use powerful workflows to automate all aspects of the hiring process. 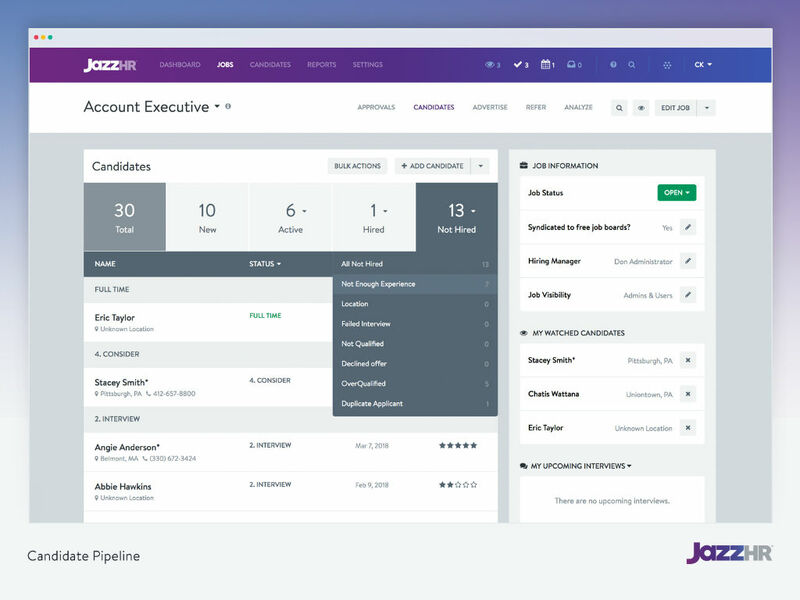 JazzHR provides several intelligent and contemporary options for job sourcing that can increase and improve your candidate pool. Not only can you write a job ad and post it to the most popular job and social media sites with a single click, but you can also invite employees to provide referrals in seconds. 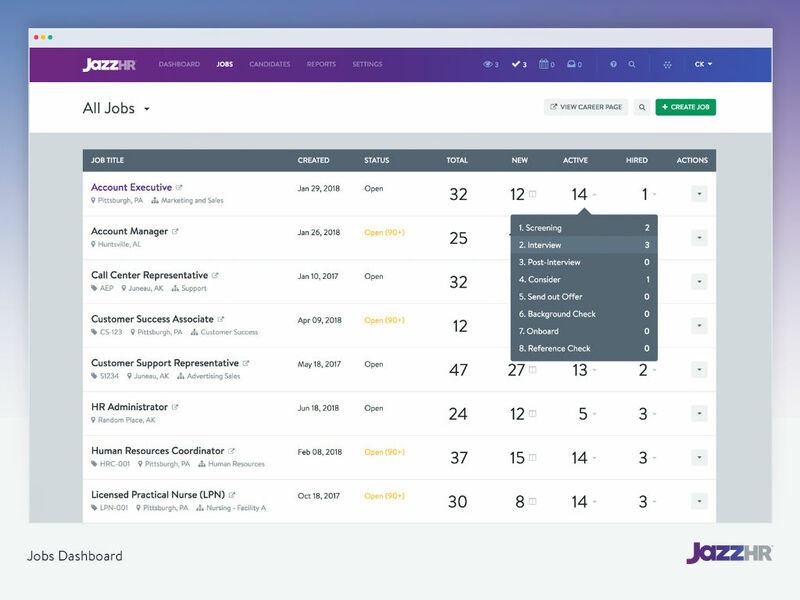 After hiring decisions have been made, JazzHR software digitizes the onboarding process, reducing the amount of paperwork and helping you get employees into positions, faster. Offer letter templates can be revised and sent digitally in seconds. New employees can eSign documents, allowing for remote recruitment and eliminating time-consuming bottlenecks. Once a new employee has been hired, information entered during the recruitment process can be easily imported into one of our many HRIS integrations. This can help to mitigate errors and further streamline the hiring process. JazzHR integrates with BambooHR through our API allowing information to be transferred into BambooHR with the click of a button. 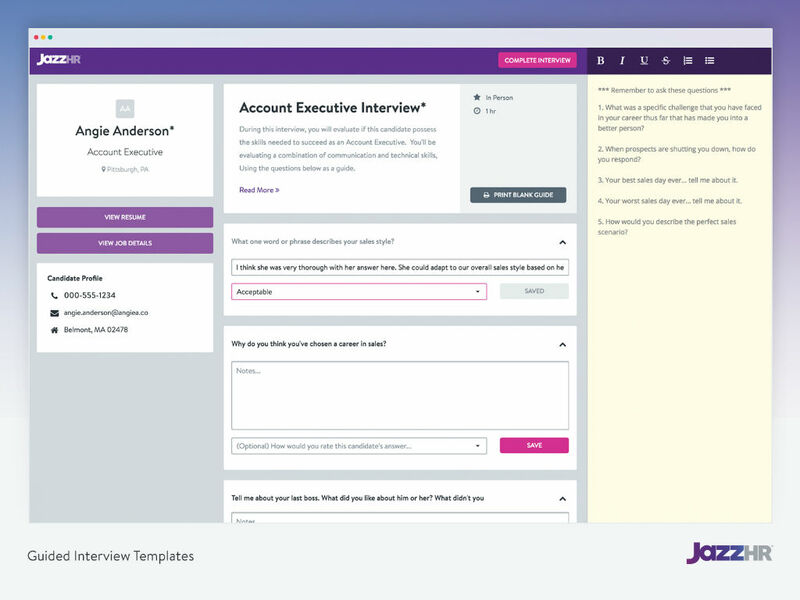 JazzHR makes hiring less costly, highly collaborative and paper-free.